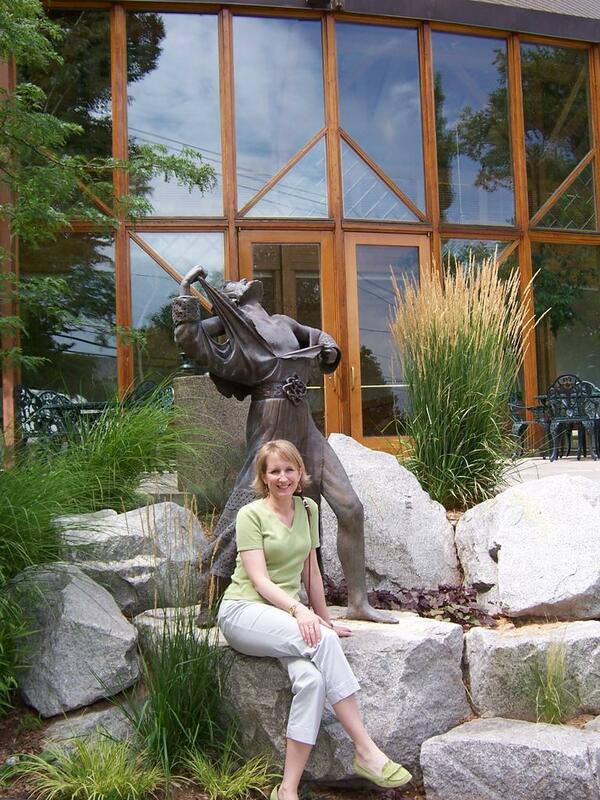 Well, we're back from our trip to Cedar City Utah for the Shakespearean Festival. It was such a wonderful trip! Four plays in two days is just too much fun! Here are some highlights from the trip. 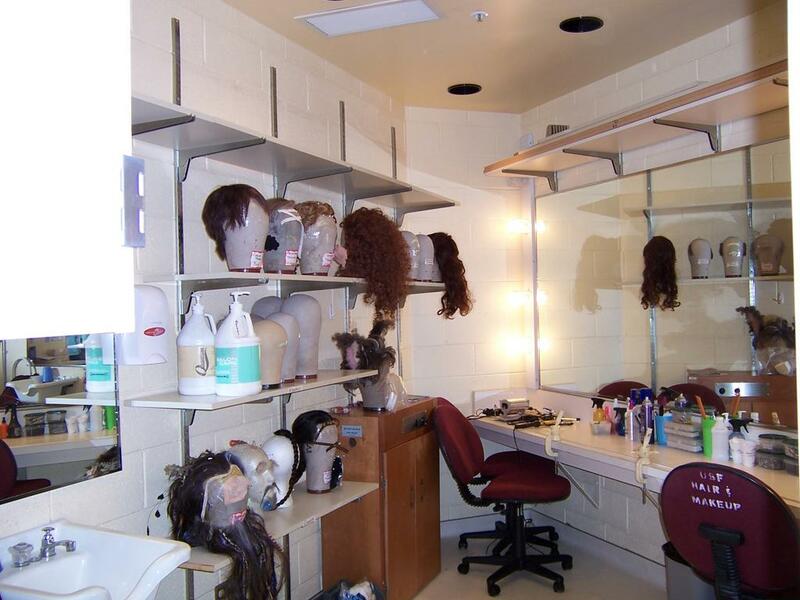 On the Backstage Tour we got a look into the Wig and Makeup room. 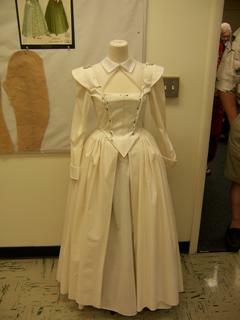 The Costume Shop had a mock-up of one of the dresses from "Love's Labor's Lost". "This is the Adams Memorial Theater, an outdoor theater like the Globe. We saw "Love's Labor's Lost" here. It had beautiful scenery. 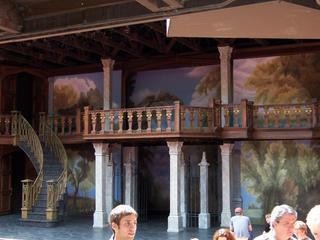 "Dr. Faustus" was also on this stage, but unfortunately we missed it. 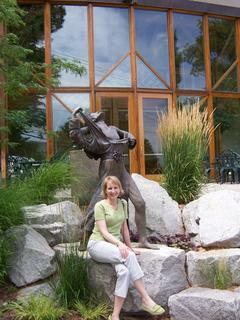 Mom posing outside the Randall Jones Theatre with a statue from "King Lear". 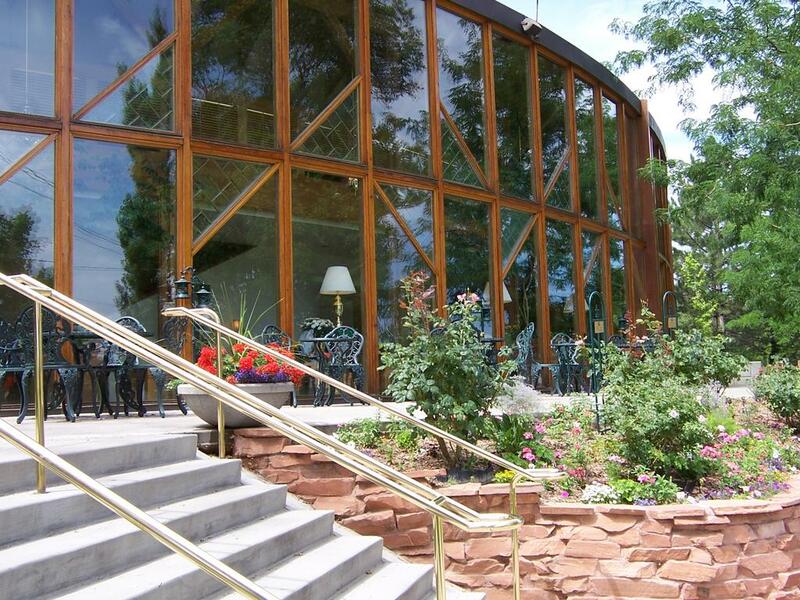 The theater had a beautiful round atrium that mimicked the Globe and Adams theater. 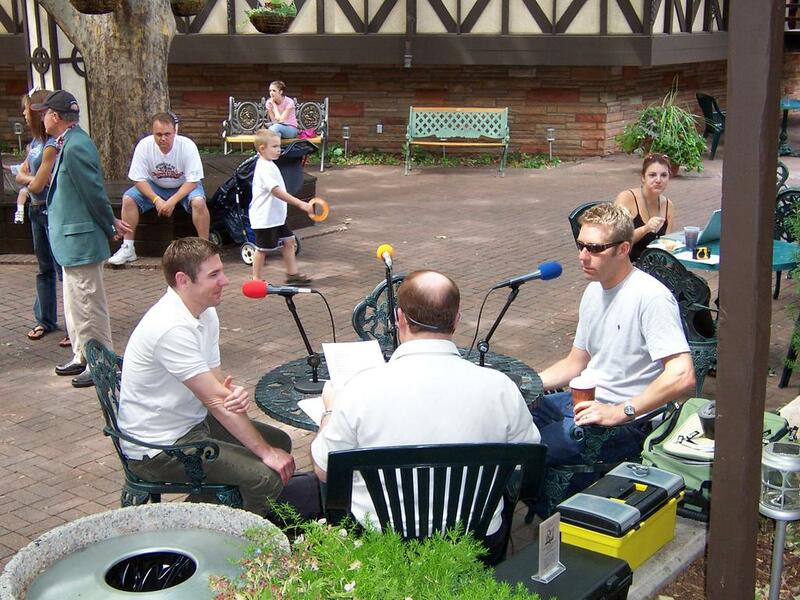 We spotted the two actors, Brian Vaughn and David Ivers, who were in "Stones in His Pockets" having an interview. 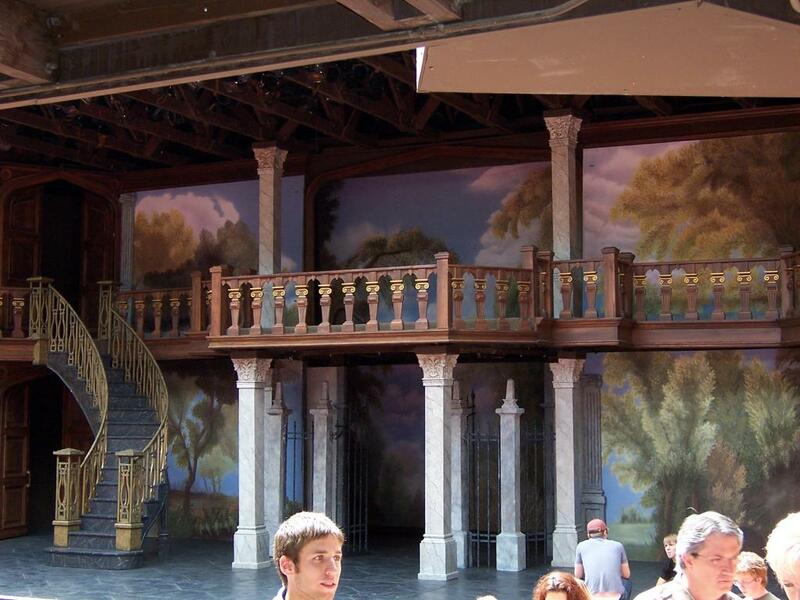 We also saw them in "Camelot" (Vaughn as Arthur) and "Love's Labor's Lost" (Ivers as Berone). 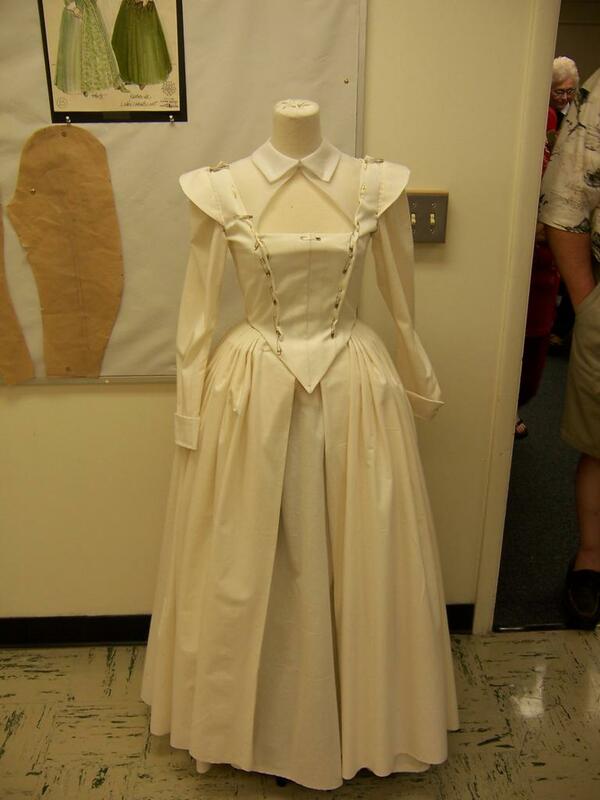 I think my favorite play was "A Mid Summer Night's Dream", but of course I know that the best, since I played Starveling the Tailor, but they did it in a "Regency-esque" setting, and it was just hilarious! 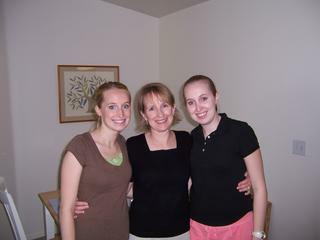 I think Mom enjoyed this the most too. On our way back on Sunday, before taking Mom to the airport, we stopped and had dinner with Lizzie, Stuart and Emi (the puppy). 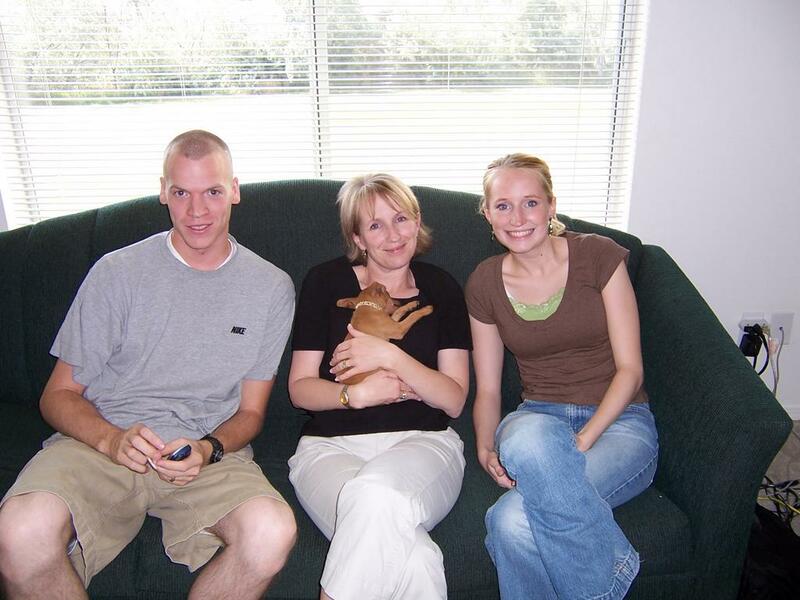 This was the first time Mom has seen her Grand, ummm, dog. We had fun playing with her. 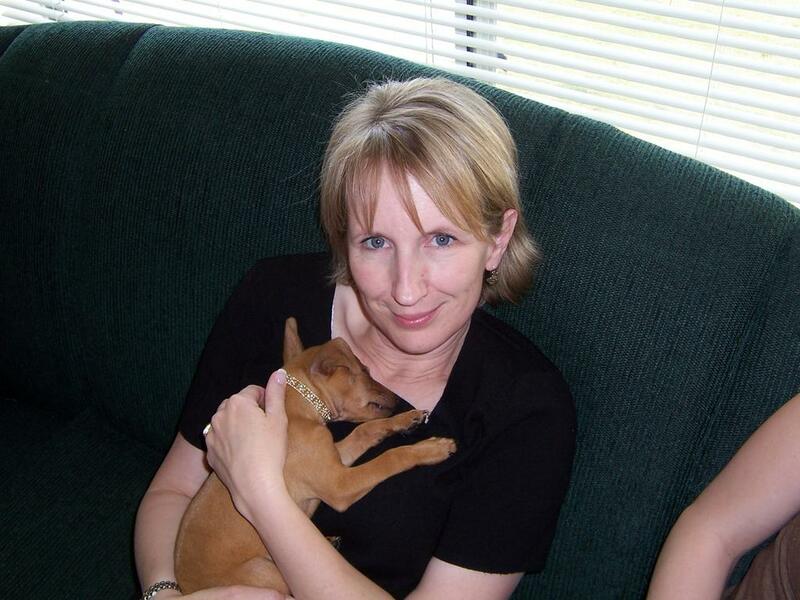 Here's mom, holding a sleeping Emi in her new be-jeweled collar. She was going crazy earlier. Stuart had her racing around the living room after her blue bear. Stuart, Mom, Emi and Lizanne on the couch for a group photo before we had to leave. The "Girls" posing for a picture. I look horrible, but then I'd just driven 5 hours in a hot car! Thanks Mom. I had such a fun weekend and I hope you did too!! Time flies where you're.... busy?